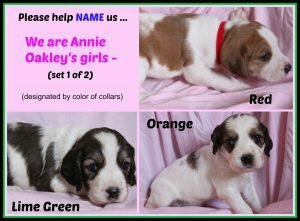 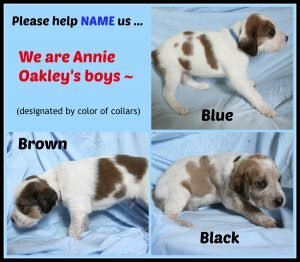 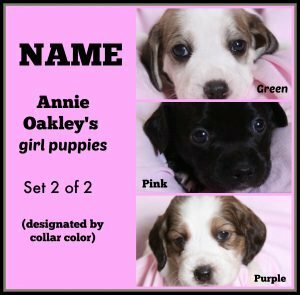 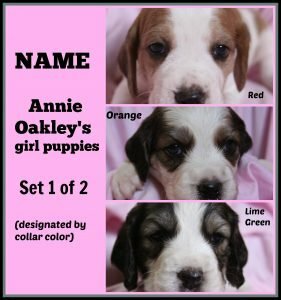 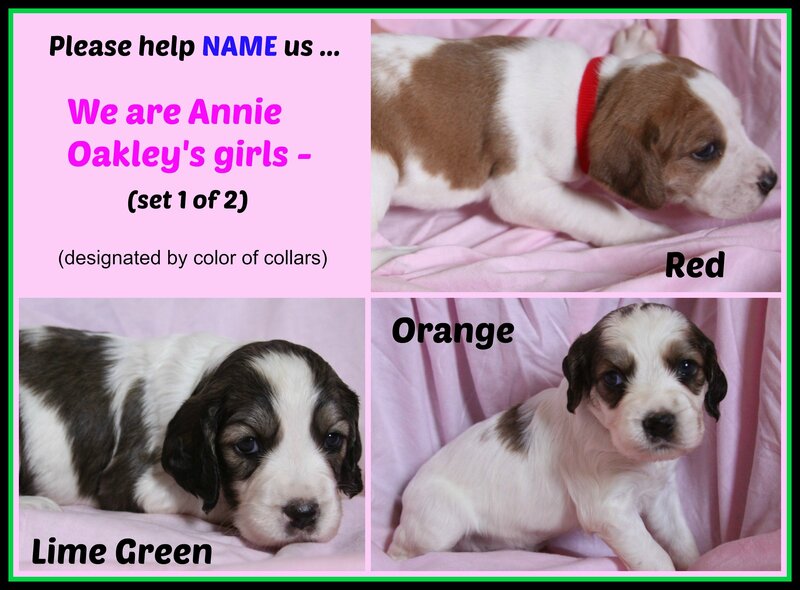 Help Us Name Annie Oakley’s 9 Puppies! 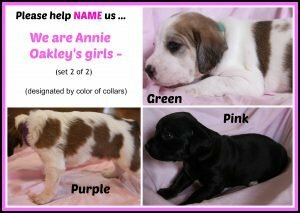 You must submit your names in a group of Nine (6 Girls and 3 Boys). 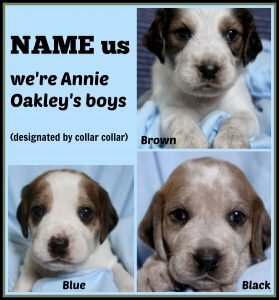 The person whose group is picked will win a fancy BRIT T-shirt and mug. Let’s make this fun and come up with some great names for these puppies. 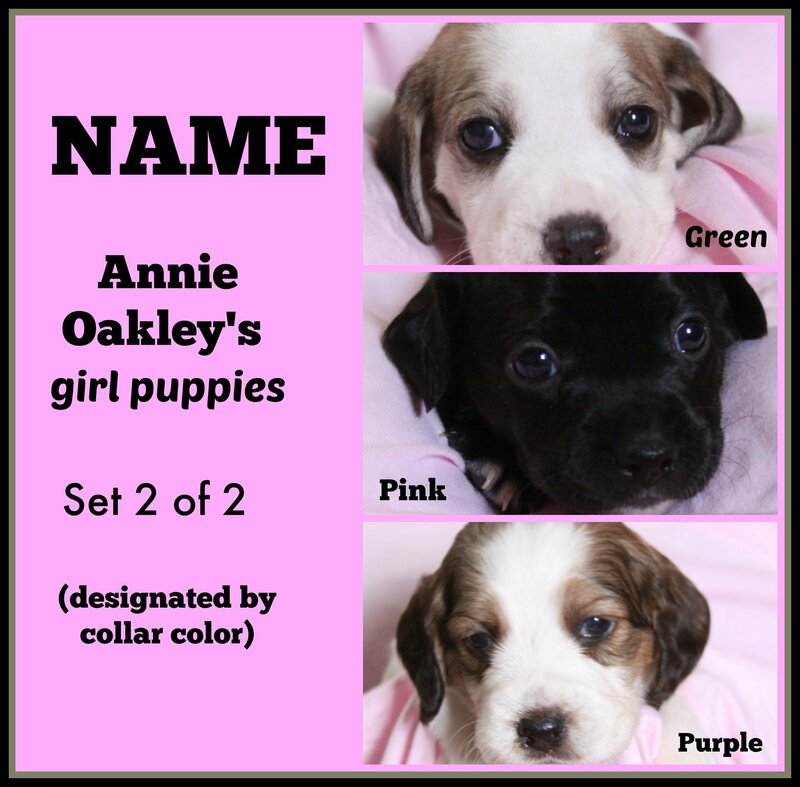 The winner will be announced on TUESDAY, AUGUST 23rd on our Facebook page.